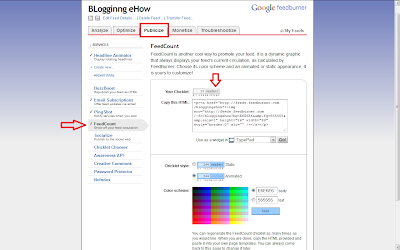 Feed burner is a free feed service from Google. RSS (Rich Site Summary). Through RSS a reader gets all the articles on a particular blog/website but with simple easy to read layout. It makes the content much easier to read. Also, the reader can read more articles from different blogs with one RSS reader. He doesn't have to go to each of the blogs of his liking. RSS is a one door delivery. 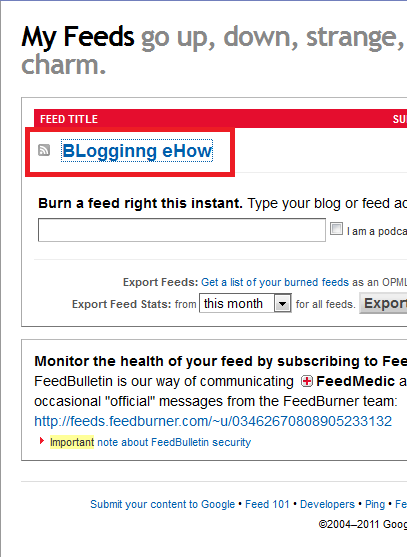 Its pretty amazing and a lot of webmaster are now applying RSS to their blogs and websites. So the Chicklet or button you may say for RSS is really helpfull in attracting more readers once you have enough of them already. 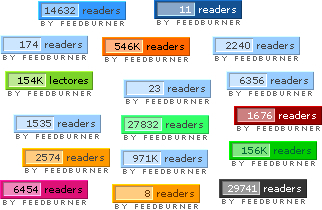 More and more people like to join the expanding RSS readers group of your blog. 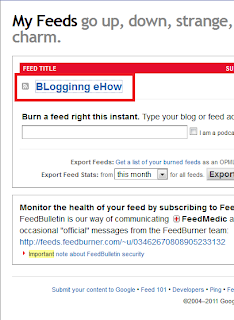 So lets jump in and add this button to your blog. 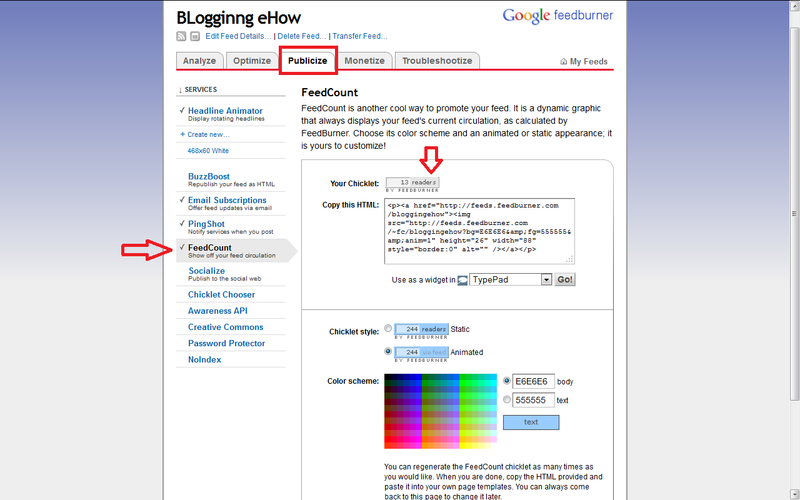 Note there are many feed services but ill be showing feed button for " Feed burner "
Choose your Feed title >> Publicize tab >> Feed Count. There are a bunch of options to play with to customize the button. You can vary the style, color. Once you are done, Copy the code. Download the template before making any changes for backup purposes. Paste your code here. By this method you would be able to add the button to the side bars and footers where Add a Gadget option is there. But apart from that you may want to display in beneath each post so that readers wanna subscribe there directly with RSS button accompanying it. Replace the Your Button Code line with your Chicklet HTML code that you copied earlier. Thats All ! May you get more RSS readers.